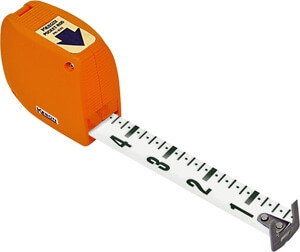 The Keson Pocket Rod Measuring Tape is a Law Enforcement Professional and Insurance Adjuster favorite. Not intended to replace the need for a grade rod, but sometimes it just makes sense to carry one of these to the job site and not a grade rod. Much lighter to carry and quicker to set up than a grade rod.